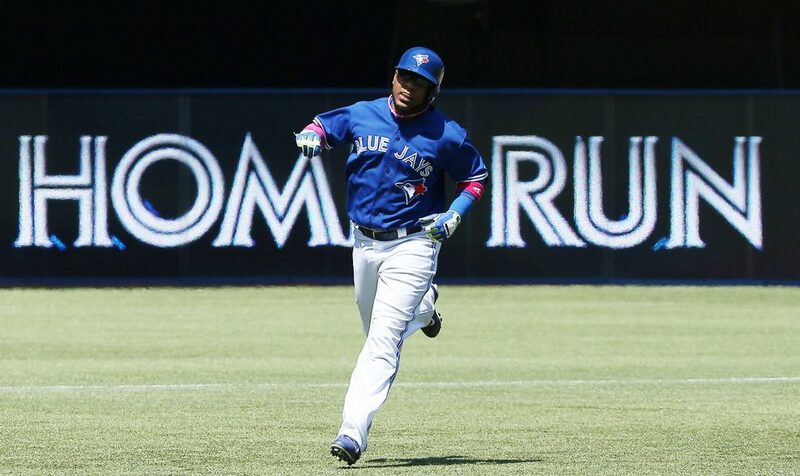 Are the Toronto Blue Jays for real? Can they keep this up? Could they conceivably end their 21 playoff drought this year? These are questions which I’m sure the collective fanbase of the Blue Jays find themselves asking with each passing day. As the season inches forward and Toronto continues to have stranglehold on the AL East, many are wondering if this is a facade or not. I don’t think anyone can blame the Blue Jays fans for being very cautious about where this team currently sits. After all, we’ve seen this movie before; the Blue Jays enjoy a great start but fall off the map during the meat of the schedule and the dog days of summer. For many, the promise of a return to the playoffs and a World Series championship are still fresh in the minds of season ticket holders and even the occasional game-goer. So with that in mind, it’s no surprise attendance numbers this season reflect that skepticism. Quite simply, the Blue Jays didn’t deliver last year, so why should they come back this year? After what happened last year, I’d say fans are warranted to be a little fickle and cynical going into 2014. Perhaps the early gate sales from the 2014 are a reflection of that overall weariness of the Blue Jays fanbase. Compared to last year, attendance is down at the Rogers Centre 161,965 through the first 31 home games. In 2013, the Blue Jays averaged 29,491 fans per game to begin the season. This year they’re averaging just 24,266. So the ripple effects of snakebit Blue Jays fans are definitely being felt, that combined with construction on Toronto’s major routes has given people just another reason to forego a trip to the Rogers Centre. Another thing that didn’t help cultivate the fanbase this offseason was the lack of offseason moves. The Blue Jays needed to upgrade their starting pitching, and for a multitude of reasons they didn’t. If the blockbuster trade with the Marlins, the R.A. Dickey deal and the Melky Cabrera signing were indicators that this organization was committed to building a winner, the “stand pat” strategy last winter did nothing to reinforce that. Nothing was really done to re-energize the fanbase or reassure ticket holders that this team was still on track to becoming a contender and ending that 21 year playoff drought. The attraction of watching a first place team now is definitely there, but it’s hard to sell a first place team in early June when there’s still nearly four months left to play in the season. It’s going to take some time for this team to build back some trust that was eroded last season. 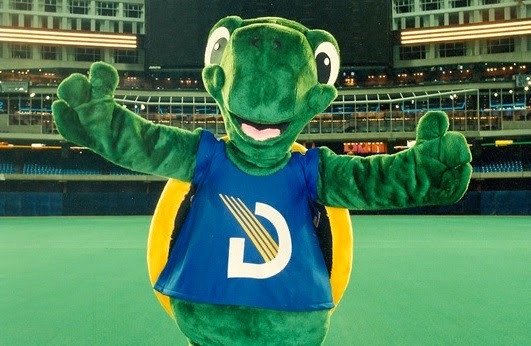 And don’t expect those weary fans who were already on the fence last year to flock back to the Rogers Centre this year. In order for attendance to spike up again, the Blue Jays need to win and they need to win on a consistent basis; it really is that simple. Does that inherently make this fanbase the fairweather variety? I don’t believe so. Regardless of the Blue Jays record, there will always be an appetite for baseball in Toronto and even across Canada. Just look at the loyal fans who sat on the bleachers in Exhibition Stadium during those 100 loss seasons in the late 70’s; a young Dan Shulman and Jamie Campbell being just a few of them who would likely attest to that. The attendance dip is not one that’s unique to the Toronto Blue Jays, in fact it’s one applies to nearly every team in Major League Baseball. If the team doesn’t win, fans won’t come to the ballpark. If the team does win, they will show up in droves. It doesn’t help that the Blue Jays play in the same market as the Toronto Maple Leafs, who have bucked nearly every trend when it comes to attendance. Leafs games at the ACC sell out regardless of how well or how poorly the Leafs perform. In comparison to the fiercely loyal Leafs fan, it may appear as though the Blue Jays fan is a bandwagon jumper; but in reality, that’s true for essentially every other franchise in professional sports. Fans are extremely savvy these days and while the promises of free giveaways or the appeal of an open roof on a nice day may provide a short-term gain here and there, but there’s one thing that will always drive attendance through the roof; a pennant.